As I gawked over all of the amazing runway shows at fashion week, one in particular stuck out to me. 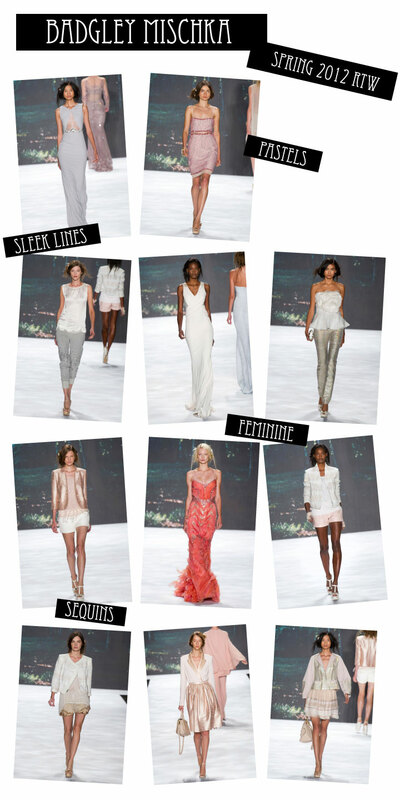 Badgley Mischka was feminine, flirty, and sophisticated, everything the line is known for. This year they did their signature “red-carpet-ready” gowns but mixed in pants, shorts and a plethora of cute blazers. The duo kept their lines simple and perfectly tailored to the female body. Any excess only accentuated shape or showed off the fabric. Their colors were muted in pastel tones, except for their finale dress, a shocking yet somehow still fitting with the show, dark coral gown. Everything flowed from beginning to end, and I can’t wait to review these images for future inspiration.